After consultation and receiving a 3-D Mapping Biopsy, we were able to determine the extent of Guy’s disease and opted to treat his cancer with a less-invasive alternative to radiation or prostatectomy – cryotherapy, which freezes cancer cells and causes them to die. This very focused treatment is the equivalent of the female lumpectomy. The treatment went well and just three months later Guy’s blood work confirmed that he was cancer free. However, like any treatment for localized prostate cancer, one needs to wait many years to guarantee success. The 3-D Mapping Biopsy captures 30 to 90 transperineal biopsies at regular intervals along an axis, coupled with corresponding coordinates to provide a 3-D view of the prostate. This allows a focused picture to pinpoint the exact location of the cancer cells and provides a comprehensive view of the cancer’s stage. The development of this technology has opened the door to making more accurate treatment decisions, which are based on the patient’s specific tumor. Further, the procedure is performed on an outpatient basis under general anesthesia, reducing the amount of time that patients need to be out of work. The 3-D Mapping Biopsy is currently in use at the University of Colorado Cancer Center and other centers in the U.S. As use of this technology spreads, the reduction in under- and over-treatments will likely increase the survival rate of prostate cancer patients overall and mark a monumental turning point for the prostate cancer community. Dr. E. David Crawford is the distinguished Professor of Surgery, Urology, and Radiation oncology, the Head of the Section of Urologic Oncology at the University of Colorado Anschutz Medical Campus, Chairman of the Prostate Conditions Education Council and founder of Bingham International Center for the 3D Diagnosis and Treatment of Prostate Cancer. You can learn more about him on this page. 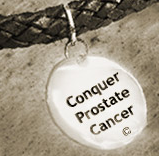 For more information about the Prostate Conditions Education Council, visit www.ProstateConditions.org or call 866.4PROST8. 3.Garnick M.B., Abrahamsson P.A., DeWolf W.C., et al (2011). 2011 Annual Report on Prostate Diseases. Harvard Health Publications, 94. 5. Garnick M.B., Abrahamsson P.A., DeWolf W.C., et al (2011). 2011 Annual Report on Prostate Diseases. Harvard Health Publications, 94.